Published: July 31, 2013 at 12:10 p.m. 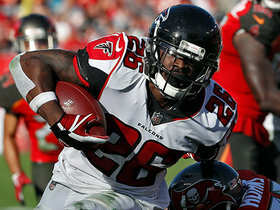 Updated: July 31, 2013 at 03:13 p.m.
FLOWERY BRANCH, Ga. -- The Atlanta Falcons came within 10 yards of reaching the Super Bowl last season, and they have the pieces in place for an encore. Optimism abounds, with the team thinking bigger than just replicating January's NFC Championship Game appearance. The franchise quarterback is locked up through 2018. The dynamic receiving duo might be the NFL's best. The Hall of Fame-bound tight end returned for one last run at a ring. Oh, and the top two draft picks from April strengthened a secondary that suddenly boasts a wealth of talent. Yes, life is good for the Atlanta Falcons. 1) Julio Jones is only getting better (scary, huh? ): Jones has been under the microscope since the Falcons gave up a treasure chest of picks to acquire his services in a bold draft-day trade three Aprils ago. 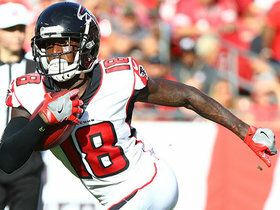 His rookie campaign in 2011 was extremely encouraging, and when he racked up 1,198 receiving yards and 10 touchdowns on 79 catches last year, it appeared he had fulfilled his promise. Um, no -- not according to a fresh round of excitement at Falcons camp. 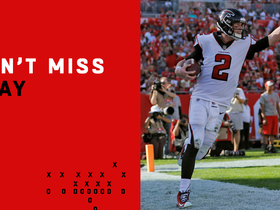 When quarterback Matt Ryan said Jones is ready to take the next step, the receiver deadpanned, "I don't know what Matt is talking about, 'next step.' " Let me explain. Those who have watched Jones say that his route running has sharpened, that he runs patterns like he's less than 6 feet tall. His body control has improved greatly. He has cut beef and pork out of his diet, which makes him feel better. All of this positivity has him primed to make the leap toward the tier of receivers like Calvin Johnson and Larry Fitzgerald this year. 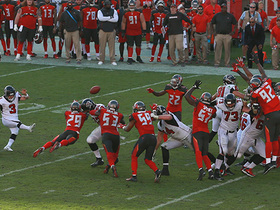 And I haven't even mentioned the aspect of Jones' game that has drawn the attention of head coach Mike Smith. "He looks stronger at the ball," Smith told me, "and to me, there's going to be so many tightly thrown balls, the coverage is such where you gotta be strong at the ball. That's something where that stood out to me." In other words, Jones is reaching for the sky that often serves as the limit. 2) Osi Umenyiora, stand-up guy? The Falcons' new pass rusher raised some eyebrows over the weekend when he discussed working out as a stand-up linebacker. Umenyiora, a career defensive end, admitted he's "never really done that before," but also said "it's cool to come out here, get a feel for it and see if I can do it." This disclosure triggered a mini hoopla. Yes, Umenyiora stood up as a linebacker at times on Tuesday, and yes, he looked lost on at least one play. But this is what training camp is for: trying things out, seeing what works and figuring out if you can teach an old dog new tricks. In reality, as Smith told me, "I don't think it's a big deal." The coach went on to call Umenyiora "a defensive end," meaning he'll mostly put his hand in the turf. Probably more important than his proficiency at dropping into coverage is the effect it will have on opposing offenses. "We're very multiple, in terms of how we want to align our guys," Smith told me, "and I think whether you're standing up or in a three-point stance, it's an issue of trying to put doubt in the quarterback. Who's rushing? Who's dropping? That's a trait of (coordinator) Mike Nolan's defenses for a long time is there's a lot of flexibility in what we can do." 3) Nobody misses Tony Gonzalez at practice: Gonzalez, the sure-fire Hall of Famer who put off retirement for one more season, attended the first few days of practice. Then he exited stage left, heading home to watch his son play football. And ... no one seems to care. Big deal. Granted, the Falcons would like all of their players to practice -- obviously -- but nary a peep was uttered about Gonzalez during my visit. Why not? A few reasons. The Falcons are still overjoyed about having Gonzalez -- a blue-chip free agent expected to retire -- come back. When Gonzalez told the team he'd return, it buoyed spirits. Prior to reaching that decision, however, Gonzalez made commitments to his family, and the organization is allowing him to honor those. That means spending a few days away. Oh, and then there is this: The players respect him. They know he'll bring it when it counts. Miss a few days of camp? Meh. "I feel very strongly about it," Falcons general manager Thomas Dimitroff told me. "The fact that he's a first-ballot Hall of Famer, there's no issues with this team as far as not being here." In fact, there are players who benefit from his absence -- rookie Levine Toilolo out of Stanford gets 15 more snaps per practice. But as Smith notes, the team monitors Gonzalez's workload anyway. 4) Trying to find a weakness on offense? Good luck: Watch the offense practice, and it's like clockwork. The ball rarely hits the ground. Ryan manages practice like he manages a game; nothing stands out, except for how efficient it is. The problems arise when you try to find a weakness. Not at quarterback. Not at receiver. Not at tight end. And with the addition of Steven Jackson, who can stay on the field for third down, not at running back. Offensive line, maybe? Only if you believe that new faces equal a downturn in quality (and the Falcons don't). At some point, it's time to rely on the players you drafted. That is Atlanta's situation. And so there isn't a weakness to be found. Perhaps most interesting? Jackson has already assumed a leadership role, just like Umenyiora has on defense. That's what you want out of your key offseason additions. "We feel like our two free-agent acquisitions, though we haven't seen the game field yet, we feel like, from what we expected of those two guys, we're really encouraged with what they are bringing to our football team," Dimitroff told me. 5) Welcome to the NFL, rookie corners: How much did Atlanta like cornerback prospects Desmond Trufant (out of Washington) and Robert Alford (Southeastern Louisiana)? The Falcons selected them with their top two picks in the 2013 NFL Draft -- that's how much. Big, physical, able to pick things up quickly -- both players could figure prominently into the Falcons' 2013 campaign. And just to make sure they're ready, Atlanta is throwing the rookies into the fire. Both are being forced to face Jones and Roddy White in practice. A lot. "They're getting it every day," Smith said. "They're running against our first team, which we're trying to get as many reps as we can with those guys against Roddy, Julio and Harry (Douglas). We don't want them lining up with young guys. We want them to get out there and compete with those guys." That's how you learn.